An Iwitea Māori incorporation is to receive up to NZ$40,000 from the Ministry for Primary Industries (MPI) to identify the best sustainable use for their land. The best land use assessment will help the Whakakī 2N Incorporation investigate opportunities that could lead to increased productivity on their collective land blocks through diversification and alternative land use options. 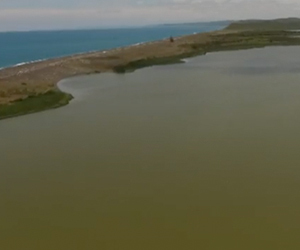 The land blocks consist of 466 hectares adjacent to Lake Whakakī, 10 kilometres from Wairoa, which are currently leased for sheep and beef farming. The total lake catchment area is approximately 6,000 hectares of predominantly sparsely populated, steep hill country. Erosion, water quality and flooding issues in the low-lying Whakakī catchment area has exacerbated existing sedimentation and erosion problems, further reducing land productivity. MPI and the local and regional councils are already working with the local community to find initiatives that will improve the productivity, profitability and sustainability. Options being explored include planting mānuka, growing hemp as a nutrient management tool, monitoring the land’s rainfall, moisture and drainage, and re-introducing native flora and fauna to reinvigorate the ecosystem, says Ben Dalton, Head of the Regional Growth Programme at the Ministry for Primary Industries.